It looks like we’ll be getting plenty of bonus content when Star Wars: The Force Awakens gets its home-entertainment release this April, with a listing on Blu-ray.com (via Jedi News) suggesting the Blu-ray will be a three disc set consisting of two BD discs and one DVD. Presumably one of the Blu-rays and the DVD will feature the movie, while the third could potentially be devoted to bonus content. However, there’s also the chance the second Blu-ray could be a 3D version of the film. It is likely option 3. 3D – Blu ray – DVD, this is the most common type. You rarely see just 3D by itself. yeah, that was the same thought i had. this is absolutely the case. i find it hard to imagine they’d have an entirely new disc.. i mean, if it had a bunch of new content, they’d probably release a longer directors cut of the movie next year. that way they make the most amount of money. releasing a longer version of the movie now makes no sense. I don’t think we’ll see an extended version… yet. Perhaps a ‘special edition’ of all three once the trilogy is finished if they want to keep the George Lucas tradition going. I really hope you’re wrong about the extended version. I keep hoping for a “Director’s Cut” release featuring all the dropped plotlines involving Leia, the New Republic, and maybe Maz Kanata. I know a lot of it was filmed. Abrams said a month or so ago that there would not be a director’s cut but the Blu-ray would include deleted scenes. 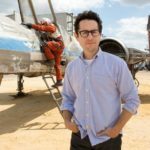 That being said, you can’t really trust anything J.J. Abrams says. Yes that is what I meant in the post, but it’s not very clear. 3rd disc 3D Blu-ray. That’s what I’d assume too. I’d be happy to get a 3D copy. I have a 3D tv for no apparent reason (I only own one 3D movie). I got a 3D copy with Avengers Age of Ultron. Not sure why they packaged them together like that. Unfortunately I don’t have a 3D tv although I’d like one! I have a 3D TV and used the feature once. Although I’ll probably get Star Wars in 3D, even if I stick to the 2D version.